It’s one thing to consider a nice paint job and new tiling in the kitchen, but if there are serious issues with the home, it can create huge financial issues to put money into it. Because foundational issues or water damage throughout the home can be expensive items to repair and will take time and resources, fixing these issues may cost more than the money you’ll make. If you’re uncertain about what you’re getting into, it may be a wise decision to bypass the investment all together. Most home fixer-uppers that people buy can be financially lucrative because the buyer is interested in doing a lot of the work themselves. However, if you’re thinking of hiring people to do the work for you, this can end up costing a lot more money and eating any profits the renovations might have created. It’s also important to realize that renovations can go over budget. Instead of being idealistic about a fixer-upper, ensure you’re certain it’s what you really want so that you’re not stuck with a home you don’t want to invest your efforts into. 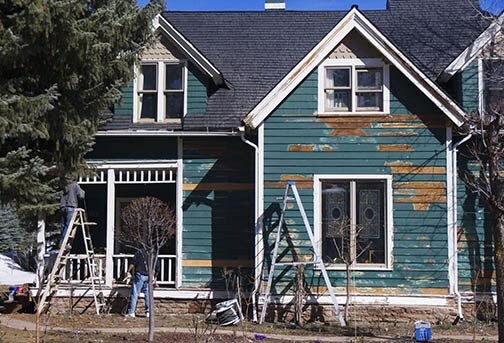 The idea of digging in and getting your hands dirty with purchasing a fixer-upper may be endearing, but if you’re not truly prepared for the responsibilities it can be a drain on your time and your finances. If you’re currently considering purchasing a home in need of help in your neighborhood, contact one of our real estate professionals for more information.